Forums » Grassroots Motorsports » Would you guys say a Subaru (Forester, Lagacy, Impreza) can/is the do-everything vehicle? I can’t think of a venue or an enthusiast activity that isn’t done (well) by a Subaru of one kind or another. 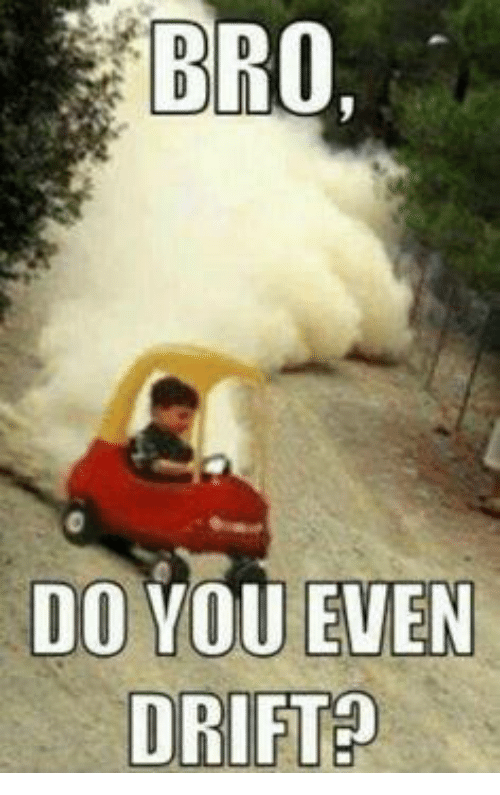 I don’t know where I’m going with this, could be sleep deprivation but I can see driving through a snowstorm to the dragstrip, running a respectable time (with boost? ), find a remote campground down a muddy road and take the backroads home and have fun in the twisties on the way to the Autocross. All this with simple, proven mods and likely the very same car in the same day. Id love to hear how one might set up a Swiss Army car such as this. Prove me right or wrong, I’m cool either way. This thread will not end well for my wallet. There is no answer other than the Answer. You're not towing anything beyond a tiny pop up camper, if "towing" is a requirement to "do it all." But... but... ringlands! headgaskets! omgwtfnnnngggg!!! I think the last time I talked about our WRX I used the term "swiss army knife", albeit I use it for less off-road stuff than you describe above. It does everything I need; daily drive my twins to daycare in toddler seats, great road trip machine, and is a neutral-handling hoot to autocross (I expected more understeer). It'll eventually end up at track days, but I have the Lemons team for that right now. A good friend recently bought an older Forester XT which is basically a lifted WRX with a more practical wagon body. He definitely uses that to haul around gravel mountain roads for camping and bike trails. That said, it's not perfect. There's more interior rattles than I'd like and the paint scratches easily. The wife now finds it cramped now that she's been driving a minivan (go figure) and the kids are getting short on legroom in those car seats. All stuff I can live with though. Depending on the budget, there are better daily drivers out there like the Golf R if you want the same formula. However at the time I didn't spend Golf R money, but they're probably not that far off today for a 2011 model. The real do it all is the proposed new Jeep Scrambler. If the towing capacity comes in over 5,000 lbs it will be the new do it all king of the hill. If the towing capacity is any lower that will significantly change momentum in favor of the Tacoma or Colorado 4x4 models. The new Ranger may be in the mix too and or Bronco. Subaru makes a great versatile vehicle but I can’t use one to move lots of car parts or tow cars. I’d probably daily a WRX or Focus RS if I didn’t need a truck a dozen times a year or more. I'm dailying a first gen Forester right now. I love it. Kids love it. Wife does not love it but that has more to do with the fact that it looks like the $500 car that it is. It's too tall to legally autocross. That doesn't even address how terrible that general chassis is to autocross without throwing some time/money at it to make it not plow around. You can make it autocross well, but at that point rallycross becomes much harder. You can make it rallycross well, but it's not a great autocross car at that point. Maybe not even fun. 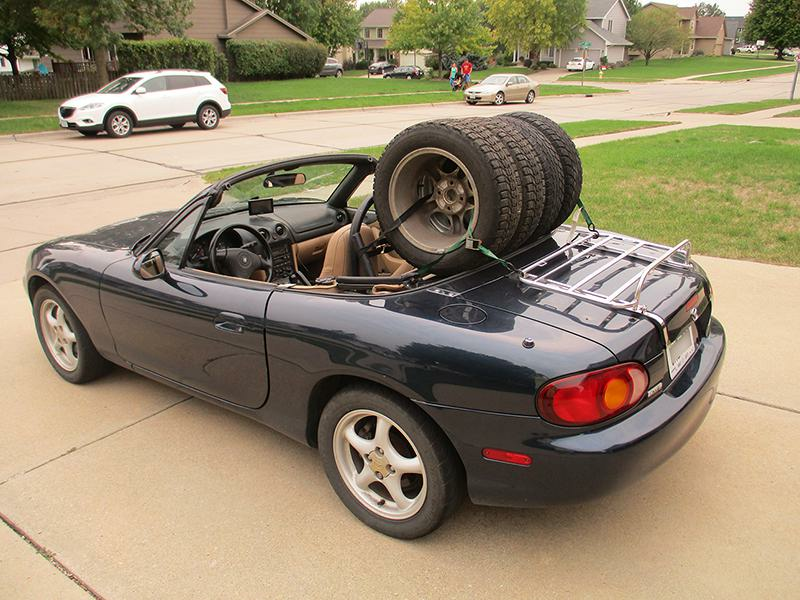 I would agree that aside from towing (which the Subaru can barely do) and interior space, a Miata is better. Having said all that, if you want to try it all and still daily and haul around stuff/kids/friends, a WRX wagon is a damn fine choice. Funny enough, I used to be all about Subarus. Now, I'm not sure if I'd own another. My Baja is the 2nd-most expensive vehicle I've bought, and the most troublesome. (My $500 POS Grand Cherokee was waaaaay less trouble, my $1100 Loyale was rock-solid) For a company that banks their reputation on their capability in the snow, you would think they would make them not dissolve faster than Tang. 15 year old car and the rocker panels and door sills are just gone. And I've come to realize that they are maintenance hogs. Not head gaskets and ringlands, but everything else. Particularly brake parts. For example, put brand new calipers on 6000 miles ago, already had one fail. My friend's '17 Outback has had all 4 calipers replaced already. Water pumps and radiators seem like consumables too. But, hey, at least it has really mediocre power and the fuel mileage of a 1/2 ton truck. I may have a more unique viewpoint in that the AWD, would much favor the Miata on a muddy road and the snowstorm I mentioned and not too much room for camping gear in the Answer. I think of the need for towing as SUV or Truck territory so I didn’t even bother including it. So, all things considered, I personally can’t think of a platform that can be more readily modified using aftermarket and junkyard parts to perform a wider array of needs. I daily drive a pretty boring looking blue base model 07 Legacy wagon 5sp. It's slow, it's not light and it's not that special. But, I rallycross it (tied for the championship this rear in my class against gutted Impreza's), I've done and will do more open lapping days while the track car is put away, it does runs to the scrap and u-pull yards, road trips across the country and it is fun to drive especially on loose surfaces and snow. It's also easy to work on and being a base model pretty simple and hard wearing. Sometimes I wash it too. The WRX / STI is the best AMC Eagle ever made. I love my 02 wrx wagon. Great daily, lots of space (for me), handles well and can do off-road things when I wanna camp. Great cars, just expensive parts. A slothful brand that cant drift. Most of those vehicles are slow. When you step up to something like a wrx or sti, the money could be better spent. All of this in consideration of motor sports though. Camping, fishing, hiking, etc. they are great for the purpose. Subarus basically don’t do anything really well, but can do most things mediocre. Jack of all trades, master of none. The full quote is actually "A jack of all trades is a master of none, but oftentimes better than a master of one." I fully disagree with the full quote though. When it comes to having a repair person at your house, would you rather have a guy that’s been repairing said item for a 10 plus years, or the guy that’s bounced around in careers and has landed in this one for a bit? In japan, very few people train in different trades. They usually pick one, and that’s what they do. They then become exceptional, a word that doesn’t get used in America often. I'm totally stealing that btw. Im not sure “exceptional” is always the best thing to be especially when, as you seem to have used the term, it comes at the expense of being more useful. This thread is obviously about vehicles but since you mentioned it, I’m 100% positive that my wife is happier that I can do electrical, plumbing, painting, floors, cabinets, landscaping, automotive and medical things around the house than she’e be if I was an expert in concrete. And after watching so many blow up randomly I just can't justify owning one. They have their purposes and they do some things well. But they are maintenance intensive and a bit expensive. I've never had one randomly blow uo (granted, I haven't had any turbo models) but I'm just sick of sticking calipers, leaky radiators, rear e-brake shoes that come apart and wipe out the ABS tone rings, rear suspension bolts that won't come apart. A little tall for autocross, but I'm very enamored of V-6 Rav-4s. If you can deal with the repair costs, some Audi wagons rock the versatility house pretty well. Snowstorm? Check. Camping? Check. Backroads? Check. Turbo? Not on mine but certainly available.